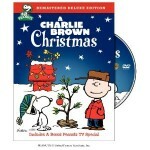 This collection just has two holiday specials from The Peanuts and Charlie Brown, aired during the 1980s and 1990s. The first special on this collection is “She’s a Good Skate Charlie Brown” from 1980 which focuses on Peppermint Patty who spends most of the special skating, and talking to various other characters. 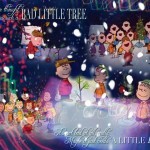 From the makers of the classic “A Charlie Brown Christmas,” this movie follows the Peanuts gang in a new direction. 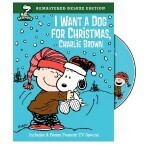 Lucy’s younger brother Rerun wants to be worthy of having a pet dog, but he has to do a number of things first – and he desperately wants a dog just like Snoopy. This is a charming, sweet story that introduces Snoopy’s brother, Spike, to the audience as another character to enjoy in a more endearing way. This classic story is about Charlie Brown and the rest of the Peanuts gang. 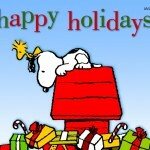 Charlie Brown feels alone and desolate on Christmas. He doesn’t feel happy like the other kids, and feels that Christmas needs to have more meaning than it does. A Charlie Brown Christmas follows him as he and the rest of the Peanuts gang rediscover the true meaning of Christmas – love, joy, and being thankful for what we have.